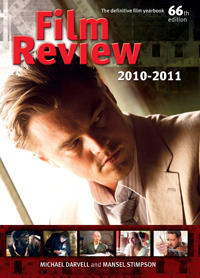 Film Review is the world’s longest-established movie guide. Acclaimed by critics, collectors and industry professionals, this is the only guide to provide essential credits and reviews for all theatrically released films in the UK. The 66th edition is the biggest yet, with reviews of every film released from July 2009 to December 2010, box-office stats and detailed showbusiness obituaries. The co-editor of Film Review has long been the chairman of the Eastbourne Film Society, and has introduced films and led discussions at London’s National Film Theatre. He was a reviewer and interviewer for What’s On In London for almost 20 years. Mansel’s other great interest, classical music, has yielded several pieces on the work of Benjamin Britten and almost 200 articles based on interviews at the Royal Opera House, Covent Garden. The co-editor of Film Review has contributed to the magazines Films Illustrated and Radio Times, as well as editing Montage, the London film societies magazine, for ten years. He stepped into the shoes of the late F Maurice Speed (the founding father of Film Review) as the editor of What’s On In London. As well as writing about films, Michael also reviews music theatre and cabaret for the Classical Source website.